Sheriff's Deputy Rick Grimes is walking around a gas station parking lot looking for fuel. He finds a young girl who turns out to be a zombie. He then shoots her in the head as she approaches him. The show then flashes back to when he is critically wounded in a vicious gunfight and slips into a coma. He later awakens in an abandoned hospital to find a world occupied by the walking dead. Grimes finds his way home, only to discover that his wife Lori and their young son Carl have disappeared. He is upset and delusional, but encounters a father and son, Morgan and Duane Jones, who have holed up in a neighbor's house on Rick's street, and learns that the CDC has set up a quarantine zone in Atlanta, Georgia. Rick departs for Atlanta in order to track down his family, leaving Morgan and Duane with some weapons and a police walkie-talkie, which he will broadcast periodically to at dawn to inform them of his location. Elsewhere, Lori has begun a romantic relationship with Rick's old partner and best friend, Shane Walsh, and along with Carl and a small band of other survivors, is in hiding in a rural area outside Atlanta. 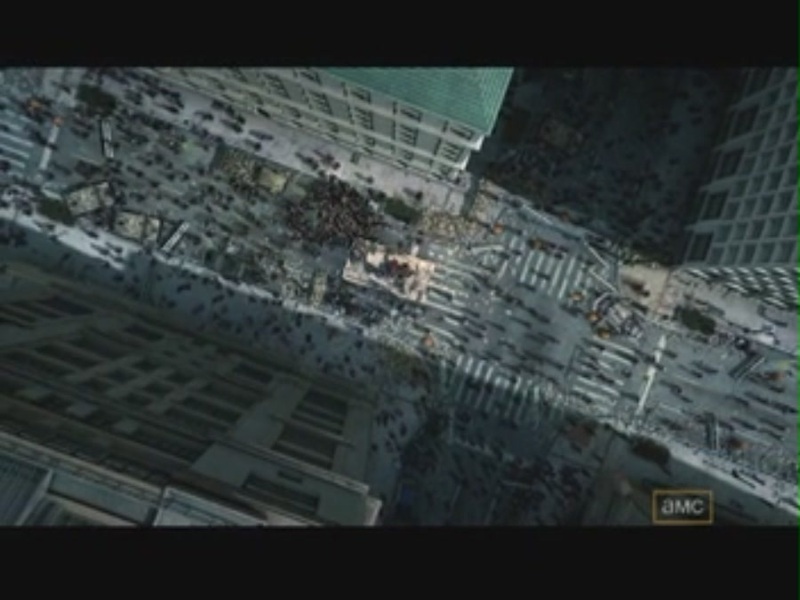 Rick arrives in Atlanta and is set upon by an enormous horde of "walkers." He survives only by slipping into a tank and sealing himself inside. An unknown person sends a transmission to the tank's radio, saying "Hey you, dumbass. Yeah, you in the tank. Cozy in there?"